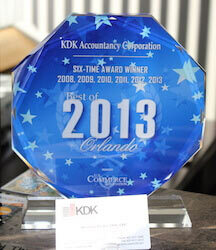 KDK Accountancy Corporation with Katz, Daitzman & Kiesel CPAs, LLP is an award-winning Orlando CPA Accounting firm offering comprehensive accounting services to Orlando businesses and individuals. We apply expertise for our clients ranging from setting up day today accounting systems to preparing the most diverse and complicated tax return. CALL NOW to Receive 10% Off On Your Tax Return! 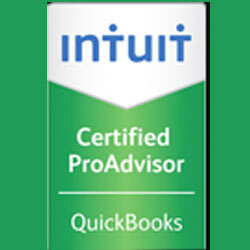 We are a Certified QuickBooks ProAdvisor in Orlando and can work with clients with all aspects of implementing and perfecting accounting software performance in the business environment. Our services are designed to assist companies with the obstacles they encounter in order to help their businesses run smoothly and efficiently. As an award-winning CPA, we take pride in our accounting and financial planner services we provide to all of our individual and business clients. At KDK Accountancy Corporation, we are confident that our expertise will help you save money, time and frustration. Why use KDK accounting services? Maintain control of crucial business matters with the professional assistance of KDK Accountancy Corporation. Providing comprehensive services revolving on IRS tax audits, business, and financial solutions in Orlando, Altamonte Springs, Winter Park, and Maitland, Florida, our team is your company’s go-to expert. 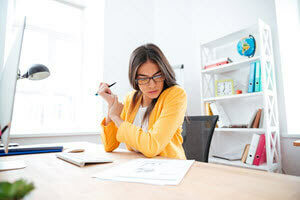 From small business accounting to online payroll, every single detail is handled efficiently by our effective CPA, tax accountant, and certified financial planner. 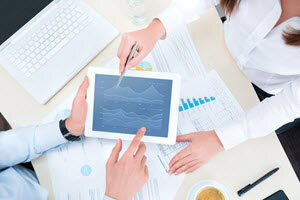 Simplify your accounting operations and allow us to deal with grueling details. With the services of KDK Accountancy Corporation, you can stay on top of accounting and taxes without frustrations. Important financial aspects often get in the way of your company’s goals, so they need to be attended to by the right and reliable people. Our CPA and tax planner assists clients in reaching their target with valuable guidance on IRS tax audits, bookkeeping, financial planning, and more. Having built a solid reputation in the field, we have worked with a number of organizations and take pride in producing exceptional work for the convenience and benefit of every client. 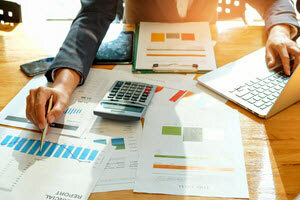 KDK Accountancy Corporation offers a wide range of assistance that includes accounting, tax preparation and planning, and even Internet business consulting. Our services are likewise offered in Orlando and all of Central Florida including the localities of Altamonte Springs, Winter Park, and Maitland, Florida. 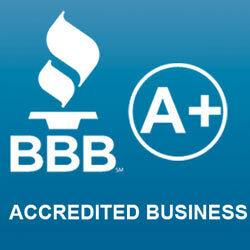 Give us a call today and let us make your accounting less taxing.